Apple has requested the US District court to allow it to add the Galaxy S4 flagship smartphone to the list of the Samsung products that are guilty of violating its patents. 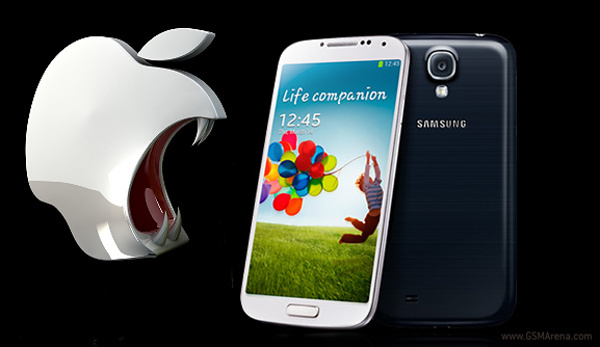 According to a report from FOSS Patents, Apple has analyzed the Samsung Galaxy S4 smartphone and the company has concluded that the device is an infringing product. The Cupertino's currently has 22 products in its claim and if the company intends to add the Galaxy S4 to the list, then Apple might remove one infringing device from its case. On the other hand, the South Korean also has about 22 Apple devices in its counter-suit. However, both the companies will have to reduce the number of devices to 10 on each side and reduce the number of patents questioned to five per side.